Girl meets boy. Boy leaves. Girl is thus left attempting to redefine who she is on her own — a hauntingly real, incredibly common moment many have faced and conquered. Inspired by the ancient Roman myth of Apollo and Daphne, Laura, or Scenes from a Common World, is a five-part drama weaving together cinematic, theatric, dance, literary, and artistic elements to create a production almost as grandiose as the epic itself. Laura uses physicality, poetry and cinematography through the collaborative efforts of Gonzaga theater professor Charlie Pepiton, poet Damon Falke and artist Wes Kline. As the Roman myth goes, after being shot by the god of love Eros' leaden arrow, Daphne abhorred Apollo, and Apollo — shot by a golden arrow — fell in love with Daphne, bringing forth the emotions of unrequited love. Daphne inevitably pleaded with her father to turn her into a tree to force Apollo to stop chasing her. As she requests, her father, a river god, turns her into a laurel tree. The protagonist of this myth's retelling played out in Laura, or Scenes from a Common World takes her name from the laurel tree which Daphne was turned into. As much as it meshes mythology with modernity, Laura is also a production that's fostering global collaboration. 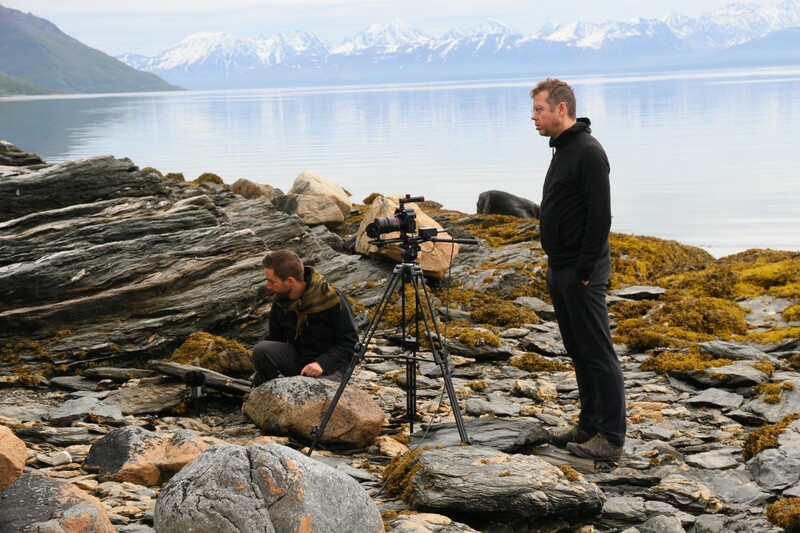 This past summer, the cinematic element of the project was shot in Norway, home to contributing poet Falke. Pepiton (left) and Kline shooting scenes for Laura in Norway. Pepiton and Charlie Falke taking a break while shooting in Norway. "Damon Falke, he's from Texas, [but] him and his wife now live in Norway," Pepiton says. "I noticed his writing changed — the nuances changed when he was living that far north and in that climate, and when I was reading this, I realized he was writing about the landscape he's in, so if this is going to be a film, we need to go there." Tromso, Norway, provided the dramatization of the land and cast an ideal backdrop for the story echoing that of Apollo and Daphne's. 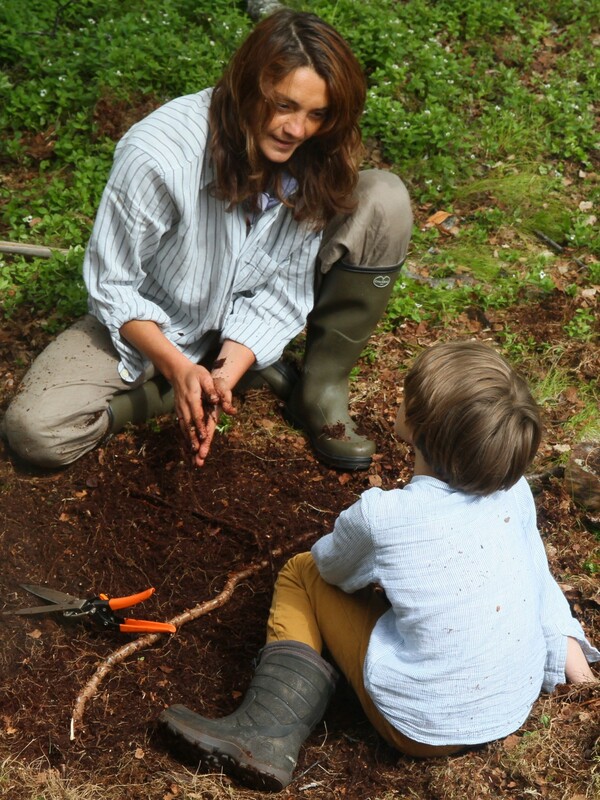 "Laura is very connected with nature," lead performer Alexandra Kazazou says. "This nature is very beautiful in Norway, especially in Tromso, because it's so pure. It's so not touristic, you know? You pick up something and you eat it, you drink the water of the river — it's crazy. It's very pure. The beauty of it is so incredible." The character of Laura seeks isolation and security in the land, attempting to discover and recreate a life for herself, by herself. "The relationship between this character and the land is really close, so we needed something that would be inspiring for that," Pepiton says. "It's also hard to take a bad picture in Norway," he adds. Kazazaou as Laura and Charlie Falke shooting scenes for Laura in Norway. While the physical aspects and filming for the project were completed this past summer, Laura as a whole exists as a film, a gallery installation and a theatrical production. A rough cut of the film portion will be shown on Thursday, Nov. 12, at Gonzaga's Magnuson Theatre. The theater and art installation elements of the project are still in the works. "When its a real deep need, or a real deep question, [interdisciplinary art] makes sense," Kazazou explains of this three-part approach. "Theater nowadays really needs support from the other arts. It really gives to the theater a lot of possibilities. But also, when you are a theatrical maker, you are not only a theatrical maker, you have been a director, you have been a dancer, you have been a sound engineer." The stage production of Laura, or Scenes from a Common World is led by Square Top Theatre, which prides itself on its creative collaborations and interdisciplinary performances, hoping to expand the boundaries of theatre in general. Laura will be its third original production. Pepiton, the director of Square Top, is also a theater instructor at Gonzaga. The university is meanwhile currently hosting two artists-in-residence this month: actress Kazazou, and designer and photographer Karol Jarek, both of whom are residents of Athens, Greece. "This project is an extremely collaborative effort," Pepiton says. "Everyone is sort of coming at this from their window. The process has been good that way, where everyone's bringing what they do strongly at the process." Each element of the project can also function as a stand-alone art form. The team plans on entering the film into competitions, but the theater performance and the art gallery can also be presented without the other creative components. "It isn't in sequence, you don't need to see the film first to see the theater," Pepiton explains. "They are sort of three faces of the same project." Kazazou studied acting at Aristoteles University of Thessaloniki, and Jarek studied philosophy at Wroclaw University and is a photographer. The two are renowned for their studies at Poland's Grotowski Institute and similarly at Studio Matejka and the Greek national Theatre. The rough-cut screening of Laura, or Scenes from a Common World, debuts at the Magnuson Theatre at Gonzaga University on Thursday, Nov. 12, at 7:30 pm. The show is free and open to the public. [UPDATE] This post has been updated to reflect that it's a film, not live theater production, being presented Thursday.